The Chauvet Intimidator Spot 155 is a bright, compact, and lightweight LED moving head, perfect for mobile applications. 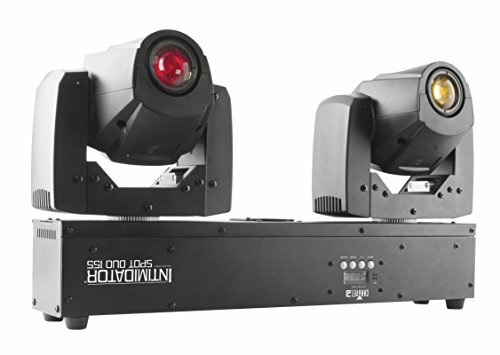 Rely on it to energize any dance floor with fast and precise movements, crisp optics and even output. Built-in performance features like separate color and gobo wheels, ultra smooth dimming and adjustable strobe speed enhance any light show. Minimize programming time with built-in movement macros, move-in-black features and sound-activated and automated programs that can generate a synchronized show in master/slave mode. This user-friendly fixture also offers individual reset of pan/tilt, color, and gobo. Multiple units can be power linked to save time running cables and extension cords. Fits best in the CHS-X5X Gear Bag.